Heritage Christian College Foundation was created to organize and channel support in the United States for Heritage Christian College, in Ghana. By supporting our Christian brothers and sisters, we have the opportunity to contribute to a unifying and stabilizing nation in Africa that aims to create positive and humanitarian impact that will be felt throughout the world. This is an opportunity to support an accredited educational institution that combines a religious ethic with an entrepreneurial spirit and a philanthropic outlook. With the inaugural freshman class set to graduate in 2019, Heritage Christian College has grown more quickly than expected. To maintain its accreditation, and to continue serving its students and values, HCC is required to construct a new academic building on campus, one better equipped to host HCC’s ever-growing student body. The funds for this new building must be raised — and construction started — by the end of 2018, or HCC’s accredited status and path to a financially independent future will be called into question. 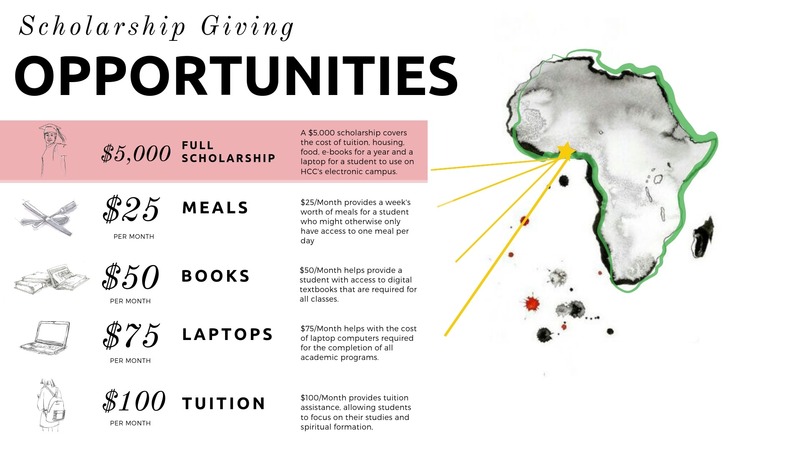 What HCC offers is good for the world, and this is our chance to help. Mouse-over the images below to learn more. 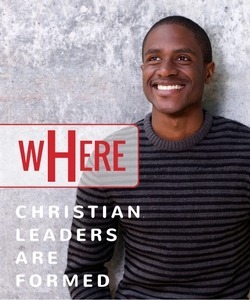 ETHICS – HCC’s values are expressed within a Christian worldview. As redeemed children of God, we do all things with an appreciation for God’s desire for us to live and behave as He would expect. QUALITY OF LIFE – The ability to start new businesses founded in Christian values is fundamental to serving needs, providing employment and income, and elevating society. 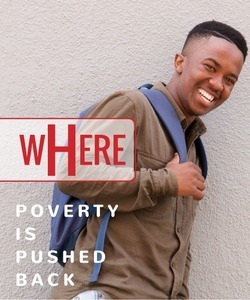 GIVING BACK – Educating and preparing new business leaders and role models who will elevate those around them helps to spread the word of God and the idea that poverty is not the only option. EDUCATION – HCC aims to elevate Ghana and the rest of Africa by introducing a new class of leader guided by Christian values, and an emphasis on business creation and philanthropy. Students at Heritage Christian College describe the campus as “serene.” We believe it’s an extension of HCC’s values. 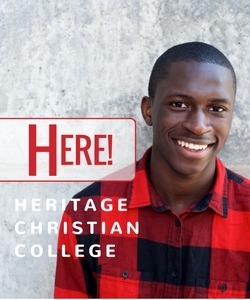 Heritage Christian College delivers educational programs based in Christian values. In the developing and quickly modernizing nation of Ghana, HCC serves as an important beacon of Christian faith. Support for HCC means support for faith itself in this region of Africa. Helping HCC to unite and uplift people through faith and the spread of higher education will help in bringing greater stability to Ghana, and in turn, all of Africa. 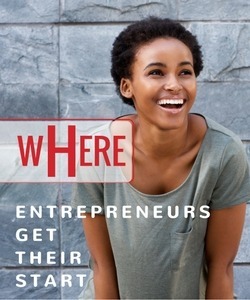 Education, employment, and the ability to create new businesses and opportunities for others are the ingredients for improving the quality of life. HCC educates its students with these specific goals in mind. This new class of Christian leaders and entrepreneurs will be equipped to create businesses that serve public needs, generate employment opportunities and income, and elevate their communities, thus raising the standard of living in a tangible way. Giving back, at every level, is at the core of what HCC looks to instill in its students. This includes helping those they know avoid the cycle of lifelong poverty, helping their communities to achieve a higher standard of living, helping Ghana become a great and politically stable nation, and helping HCC to continue promoting these values. We truly believe that an HCC education gives students the needed tools to help themselves for a lifetime and elevate their communities forever. Even as HCC’s vision for its students extends far beyond the classroom, it still provides a uniquely conceived higher education experience. With courses of study in Business Administration, Information Technology, and Theology, HCC offers degrees that are well-suited to leading Godly graduates to rewarding careers. An HCC degree is means a hands-on practical degree steeped in the values of entrepreneurship, philanthropy, and ethics. To view areas of the HCC campus, scroll through the map labels below and click on the one you would like to see enlarged. To exist the enlarged map, click on the minus sign (-) in the lower right portion of the map labels. In addition to contributing to the HCC’s new construction campaign, here are other areas in which your support can benefit the students at HCC. Your generous donations propel the students forward and increase their opportunities to learn and grow.